Your company’s human resources are its most essential asset, so it only makes sense to form the best possible understanding you can about them. Regardless of your industry, your business can’t function without people. Making sure you’re doing it the right way, and managing your hires, their satisfaction, and their overall productivity, is crucial. Being able to understand these concepts in clear, tangible KPIs aids with better decision-making and improves your HR department’s efficiency more effectively. A)	Make sure the metrics you use to track your HR effectiveness are accurate and relevant. 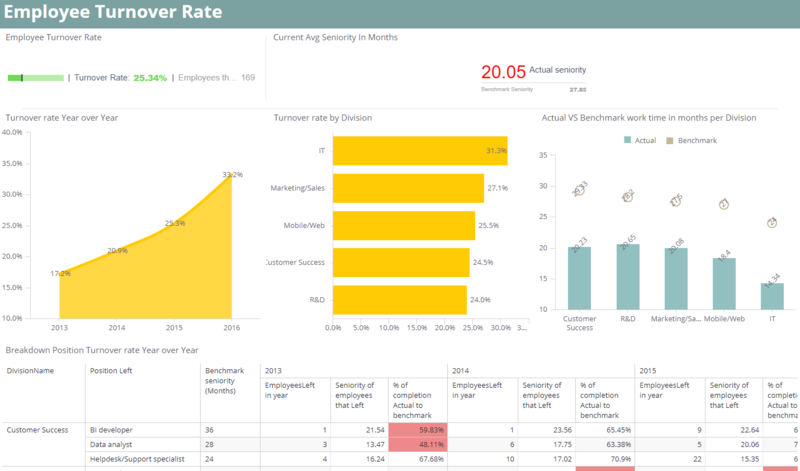 B)	Guarantee your HR KPIs are easily accessible on your dashboard to make your decisions more accurate and timelier. Ultimately, the aim of KPIs is to understand the broadest possible swath of your human resources analytics, from your hiring and firing processes to your team’s satisfaction and performance levels. This can include your company’s attrition rates, how happy your employees are, how much each hire costs you and how long it takes you to hire them, and how productively they’re operating overall. These factors all have different answers, but you can identify the right metric for each. This guide will help you get started and highlight some of the best HR KPI examples, as well as when and how to use them.